It is not the first time that reports of Yeh Hai Mohabbatein ending have emerged. Ever since the decline in ratings of the popular show, there has been speculation about the show going off air. Yeh Hai Mohabbatein airs at 10:30 pm on Star Plus. Earlier in the day, reports of Yeh Hai Mohabbatein (YHM) going off air created quite a stir. But, the news is untrue. Krishna Mukherjee, who plays Aliya in YHM, confirmed to indianexpress.com that the daily is not ending. “It was a misunderstanding that led to the entire chaos. Yeh Hai Mohabbatein is not going off air any time soon. I hope this ends the confusion,” the actor said. 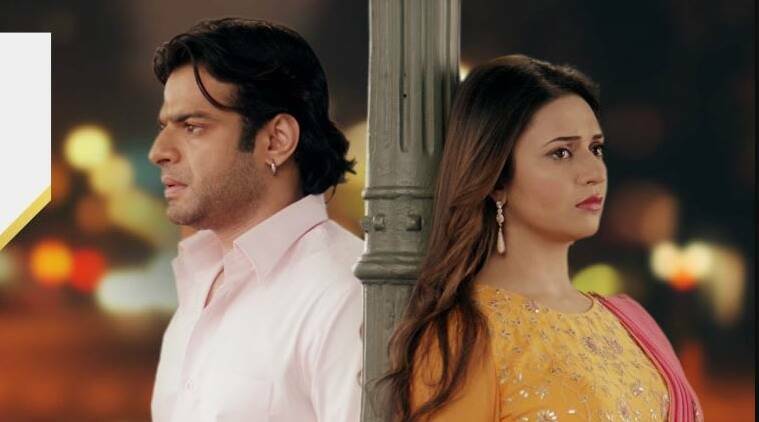 It is not the first time that reports of Yeh Hai Mohabbatein ending have emerged. Ever since the decline in ratings of the popular show, there has been speculation about the show going off air. While the numbers have seen a decline, fans continue to love the characters in the Ekta Kapoor serial, making it one of the most popular shows on Star Plus. While Divyanka Tripathi and Karan Patel continue to entertain the audience as Ishita and Raman, the new generation of actors, like Krishna Mukherjee, Aditi Bhatia and Abhishek Verma, have also built their own space in the show. Yeh Hai Mohabbatein launched in December 2013 as a mature love story in the late night slot on Star Plus. It was also the comeback vehicle of Karan Patel, Divyanka Tripathi and Anita Hassanandani in the drama genre. The show dealt with the story of a woman, who cannot give birth to a child and develops a connection with her neighbour’s kid. The neighbour, a divorcee, is a cold man, who stops believing in love after being shunned by his first wife. The show instantly became popular, and Divyanka found a new identity as Ishi maa. Her bond with child actor Ruhanika Dhawan was also much appreciated. In the unbeaten five year run, YHM witnessed quite a few leaps, adding twists to the tale.